Guess where this jacket is from. To be honest I'm not ready to bring out the winter coats out of my closet. Since Fall/Autumn in The Netherlands usually is just cloudy most of the day with a hint of sun sometimes, it's not responsible to just put on a lightweight jacket. Usually I just wear a leather jacket and put on a scarf if it's get chilly outside but sometimes it's just nice to grab something and go. This jean jacket is perfect for this. 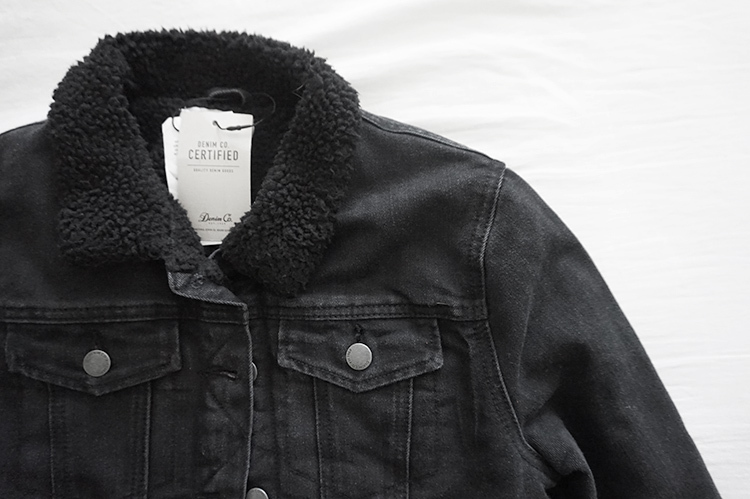 The jacket is fully lined with this shearling fabric so it's still warm inside but doesn't look like a snowstorm is coming. 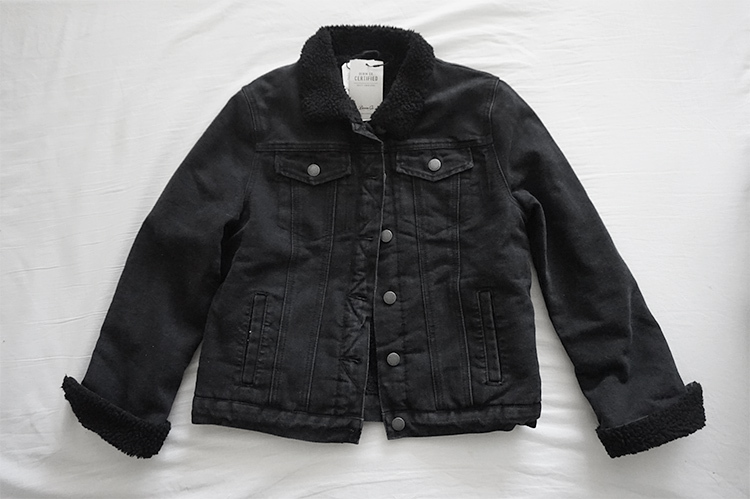 I'm planning to replace the black leather jacket with this shearling jean jacket, because lately I've been wearing leather too many times. The best part is that the jacket is from Primark! For only 23 euros. Did you guessed it correctly? I was looking for a pair of pants (which I still need to buy) but came across this jack.